Home » Posts » Mental health » dementia » What should we prescribe for neuropsychiatric symptoms in Alzheimer’s disease? What should we prescribe for neuropsychiatric symptoms in Alzheimer’s disease? Last month I wrote a post on what we know about using medication for agitation and aggression. The post focused on a recently published paper by Dr Dallas Seitz and colleagues in 2013 (Seitz et al. 2013). Dr Seitz’s paper was a systematic review of all available evidence at the time looking at the efficacy of different drugs in the treatment of probably the most difficult symptoms to manage in dementia: neuropsychiatric symptoms in Alzheimer’s disease. Just as my last blog was published, another more recent paper came to my attention. This time the paper is a systematic review and meta-analysis looking at exactly the same issue (Wang et al. 2014). The new paper includes more recent trials that had not been published by the time Dr Seitz and his colleagues completed their review. For that reason alone, I thought it would be worth covering in a new blog. They searched PubMed, EMBASE, the Cochrane Controlled Trials Register and the Cochrane Database of Systematic Reviews for reports published before December 2013. They searched using the condition, the names of drugs, and the symptoms and looked for hits in the title or abstract. They also looked at ‘bibliographies of reviews, original research articles and other articles of interest’. Their search was only done in English language published studies. After searching and excluding they ended with a total of 32 studies that met criteria. Fifteen were on cholinesterase inhibitors, 8 on Memantine, 6 on atypical antipsychotics, 2 on antidepressants and 1 on mood stabilisers. The 32 trials included 6,812 participants on active treatment and 4,844 participants on placebo. 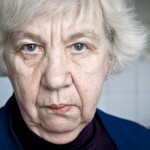 Mean participant age ranged from 73.3 to 85.6 years. Mean baseline MMSE scores ranged from 4.5 to 21.2. As I did in my last post, I will summarise the results by type of agent. Studies included were 8 for donepezil, 4 for galantamine and 3 for metrifonate. Seven studies reported benefits for cholinesterase inhibitors. Two studies were excluded from the meta-analysis as they did not report on the mean change in NPI scores. Figure 1 below summarises the results. It is worth mentioning that donepezil did not seem to differ significantly from placebo, whereas galantamine did. See figure 2. The safety profile for cholinesterase inhibitors is summarised in figure 3 below. 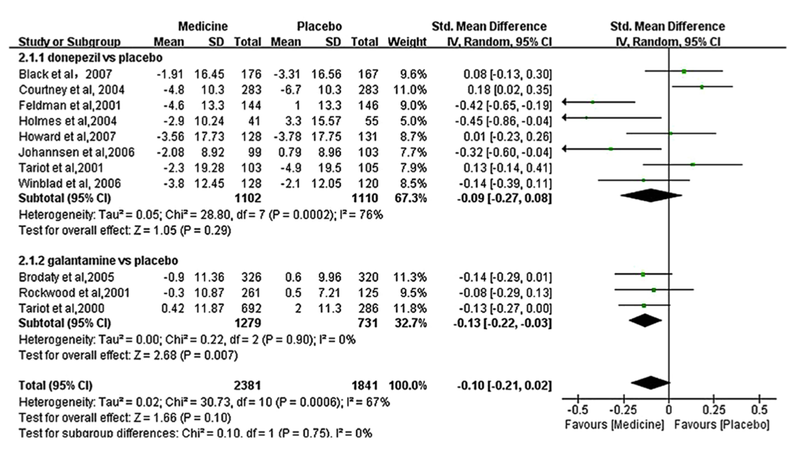 A total of 1,496 patients on memantine were compared with 1,333 patients on placebo. NPI measures were reported. There was no statistical difference between the groups. The results are in figure 4 below. Only 6 studies fully met inclusion criteria. One study (Sultzer et al, 2008) compared 3 drugs vs placebo and the results were extracted separately for each drug. There were a total of 1,561 participants on atypical antipsychotics compared with 950 participants on placebo. Figure 6 shows the results of the only positive comparisons which favoured aripiprazole and olanzapine. There were only two trials that met inclusion criteria, both for sertraline. There was no effect. There was only one study that met inclusion criteria. The study compared sodium valproate used with 14 participants vs 13 participants on placebo. The result showed no significant differences between the groups. The size of the trial was so small that it is hard to draw any conclusions. Taking this study and the one I reviewed last month together, the conclusions are still that there might be a slight advantage to using atypical antipsychotics in neuropsychiatric symptoms in Alzheimer’s disease. This study finds only aripiprazole and olanzapine are of use. There were no studies on Risperidone included. Another marked difference is the benefits from cholinesterase inhibitors that were observed by Wang et al, which were not evident at all in the Seitz review. Galantamine in particular seemed to be useful in this meta-analysis. In terms of limitations, the authors only included English language papers and excluded studies that did not conform to a very specific study design with only one outcome measure. The review excluded studies looking at diagnoses other than Alzheimer’s disease and studies where only the diagnosis of dementia was required. I am surprised that there were no papers looking at benzodiazepines that met criteria for inclusion and the authors did not specifically list any on the list of terms used to search for papers. Studies comparing a drug versus a non-pharmachological intervention were excluded so we are no wiser as to how those perform. All this aside, this study does provide a valuable synthesis of the evidence. The study is particularly useful in providing a look at those drugs for which multiple studies were found and for which we have data on large numbers of patients: cholinesterase inhibitors and atypical antipsychotics. However, based on this study, I will now be trying galantamine, as opposed to using antipsychotics only as my first line. Fonseca, A. Which (if any) drugs should we use for agitated or aggressive behaviour in dementia? Mental Elf, 11 Jun 2014. Bakchine S, Loft H. (2008). Memantine treatment in patients with mild to moderate Alzheimer’s disease: results of a randomised, double-blind, placebo-controlled 6-month study. J Alzheimers Dis 2008;13:97–107. Black SE, Doody R, Li H, et al. (2007). Donepezil preserves cognition and global function in patients with severe Alzheimer disease. Neurology 2007;69:459–69. Brodaty H, Corey-Bloom J, Potocnik FC, et al. (2005).Galantamine prolonged-release formulation in the treatment of mild to moderate Alzheimer’s disease. Dement Geriatr Cogn Disord 2005;20:120– 32. Campbell N, Ayub A, Boustani MA, et al. (2008). Impact of cholinesterase inhibitors on behavioral and psychological symptoms of Alzheimer’s disease: a meta-analysis. Clin Interv Aging 2008;3:719– 28. Courtney C, Farrell D, Gray R, et al. (2004). Long-term donepezil treatment in 565 patients with Alzheimer’s disease (AD2000): randomised double-blind trial. Lancet 2004; 363:2105–15. De Deyn PP, Carrasco MM, Deberdt W, et al. (2004). Olanzapine versus placebo in the treatment of psychosis with or without associated behavioral disturbances in patients with Alzheimer’s disease. Int J Geriatr Psychiatry 2004;19:115–26. De Deyn P, Jeste DV, Swanink R, et al. (2005). Aripiprazole for the treatment of psychosis in patients with Alzheimer’s disease: a randomized, placebo-controlled study. J Clin Psychopharmacol 2005;25:463–7. Feldman H, Gauthier S, Hecker J, et al. (2001). A 24-week, randomized, double-blind study of donepezil in moderate to severe Alzheimer’s disease. Neurology 2001;57:613–20. Finkel SI, Mintzer JE, Dysken M, et al. (2004). A randomized, placebo-controlled study of the efficacy and safety of sertraline in the treatment of the behavioral manifestations of Alzheimer’s disease in outpatients treated with donepezil. Int J Geriatr Psychiatry 2004;19:9–18. Forette F, Hoover T, Gracon S, et al. (1995). A double-blind, placebo-controlled, enriched population study of tacrine in patients with Alzheimer’s disease. Eur J Neurol 1995;2:229–38. Herrmann N, Lanctot KL, Rothenburg LS, et al. (2007). 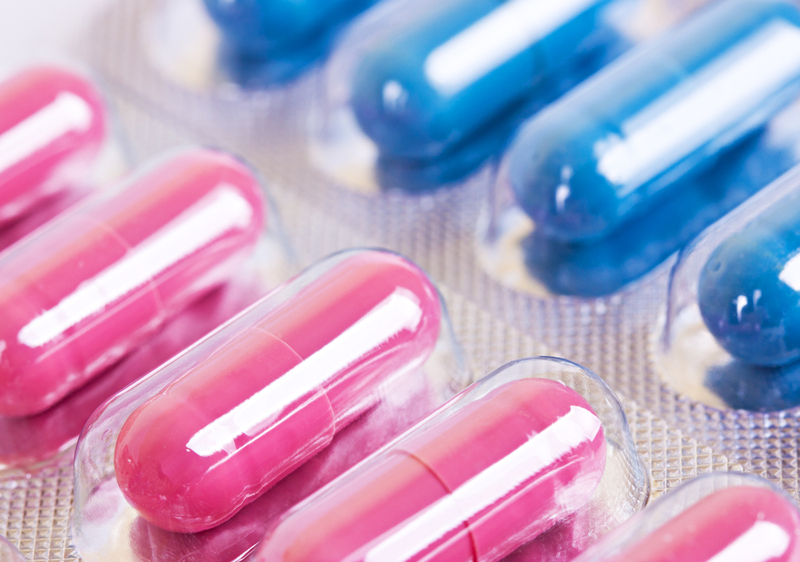 A placebo-controlled trial of valproate for agitation and aggression in Alzheimer’s disease. Dement Geriatr Cogn Disord 2007;23:116–19. Herrmann N, Gauthier S, Boneva N, et al. (2013). A randomized, double-blind, placebo-controlled trial of memantine in a behaviorally enriched sample of patients with moderate-to-severe Alzheimer’s disease. Int Psychogeriatr 2013;25:919–27. Holmes C, Wilkinson D, Dean C, et al. (2004). The efficacy of donepezil in the treatment of neuropsychiatric symptoms in Alzheimer disease. Neurology 2004;63:214–9. Howard RJ, Juszczak E, Ballard CG, et al. (2007). Donepezil for the treatment of agitation in Alzheimer’s disease. N Engl J Med 2007;357:1382–92. Johannsen P, Salmon E, Hampel H, et al. (2006). Assessing therapeutic efficacy in a progressive disease: a study of donepezil in Alzheimer’s disease. CNS drugs 2006;20:311–25. Kaufer D. (1998). Beyond the cholinergic hypothesis: the effect of metrifonate and other cholinesterase inhibitors on neuropsychiatric symptoms in Alzheimer’s disease. Dement Geriatr Cogn Disord 1998;9(Suppl 2):8–14. Lyketsos CG, DelCampo L, Steinberg M, et al. (2003). Treating depression in Alzheimercdisease: efficacy and safety of sertraline therapy, and the benefits of depression reduction: the DIADS. Arch Gen Psychiatry 2003;60:737–46. Lyketsos CG, Reichman WE, Kershaw P, et al. (2004). Long-term outcomes of galantamine treatment in patients with Alzheimer disease. Am J Geriatr Psychiatry 2004;12:473–82. Mintzer JE, Tune LE, Breder CD, et al. (2007). Aripiprazole for the treatment of psychoses in institutionalized patients with Alzheimer dementia: a multicenter, randomized, double-blind, placebo-controlled assessment of three fixed doses. Am J Geriatr Psychiatry 2007;15:918–31. Morris JC, Cyrus PA, Orazem J, et al. (1998). Metrifonate benefits cognitive, behavioral, and global function in patients with Alzheimer’s disease. Neurology 1998;50:1222–30. Peskind ER, Potkin SG, Pomara N, et al. (2006). Memantine treatment in mild to moderate Alzheimer disease: a 24-week randomized, controlled trial. Am J Geriatr Psychiatry 2006;14:704–15. Porsteinsson AP, Grossberg GT, Mintzer J, et al. (2008). Memantine treatment in patients with mild to moderate Alzheimer’s disease already receiving a cholinesterase inhibitor: a randomized, double- blind, placebo-controlled trial. Curr Alzheimer Res 2008;5:83–9. Reisberg B, Doody R, Stoffler A, et al. (2003). Memantine in moderate-to-severe Alzheimer’s disease. N Engl J Med 2003;348:1333–41. Rockwood K, Mintzer J, Truyen L, et al. (2001). Effects of a flexible galantamine dose in Alzheimer’s disease: a randomised, controlled trial. J Neurol Neurosurg Psychiatry 2001;71:589–95. Seitz, D et al. (2013). Pharmacological treatments for neuropsychiatric symptoms of dementia in long-term care: a systematic review. International Psychogeriatrics (2013), 25:2, 185–203. Street JS, Clark WS, Gannon KS, et al. (2000). Olanzapine treatment of psychotic and behavioural symptoms in patients with Alzheimer disease in nursing care facilities: a double-blind, randomized, placebo-controlled trial. The HGEU Study Group. Arch Gen Psychiatry 2000;57:968–76. Streim JE, Porsteinsson AP, Breder CD, et al. (2008). A randomized, double-blind, placebo-controlled study of aripiprazole for the treatment of psychosis in nursing home patients with Alzheimer disease. Am J Geriatr Psychiatry 2008;16:537–50. Sultzer DL, Davis SM, Tariot PN, et al. (2008). Clinical symptom responses to atypical antipsychotic medications in Alzheimer’s disease: phase 1 outcomes from the CATIE-AD effectiveness trial. Am J Psychiatry 2008;165:844–54. Tariot PN, Solomon PR, Morris JC, et al. (2000). A 5-month, randomized, placebo-controlled trial of galantamine in AD. The Galantamine USA-10 Study Group. Neurology 2000;54:2269–76. Tariot PN, Cummings JL, Katz IR, et al. (2001). A randomized, double-blind, placebo-controlled study of the efficacy and safety of donepezil in patients with Alzheimer’s disease in the nursing home setting. J Am Geriatr Soc 2001;49:1590–9. Tariot PN, Farlow MR, Grossberg GT, et al. (2004). Memantine treatment in patients with moderate to severe Alzheimer disease already receiving donepezil: a randomized controlled trial. JAMA 2004;291:317–24. 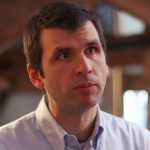 Dr Andrés Fonseca is a consultant psychiatrist with 16 years of clinical experience. He is a member of the Royal College of Psychiatrists and dual qualified in old age and adult psychiatry. He holds an MSc in psychiatric research methodology from UCL and is honorary lecturer at UCL (division of psychiatry) and University of Roehampton (psychology department). He is co-founder and CEO of Thrive, a company that develops software to improve mental health combining computerised cognitive behavioural therapy and other eTherapy techniques with games and game dynamics to enhance engagement.